As we celebrate the coming of cannabis edible regulations, it isn’t difficult to get into the holiday spirit. The cannabis industry has entered the post-prohibition era where anything is possible, and we are ready to ring in a new year of endless possibilities (HIGHly optimistic, right?). That’s why we are rounding off a killer 2018 with our friends at Lifford Cannabis Solutions — and you should definitely join us. Tomorrow, Wednesday December 19th, we’ll be learning how to craft the perfectly infused cocktail and mocktail with The Cocktail Whisperer. Organized by The Canadian Association of Professional Sommeliers (CAPS) Ontario in partnership with Lifford Cannabis Solutions, the hospitality community is in for a special treat, with learnings that they can bring to their home and holiday events to kick things up a notch. You’ll learn how to wow guests at ALL the holiday parties with some tasty takeaways that will dazzle taste buds and elevate spirits (literally). Yes, even that hard-to-impress grinch in your crew who could use a little holiday cheer. This month’s event will feature 6-time author Warren Bobrow The Cocktail Whisperer, as he educates guests on the fine art of cannabis beverages. 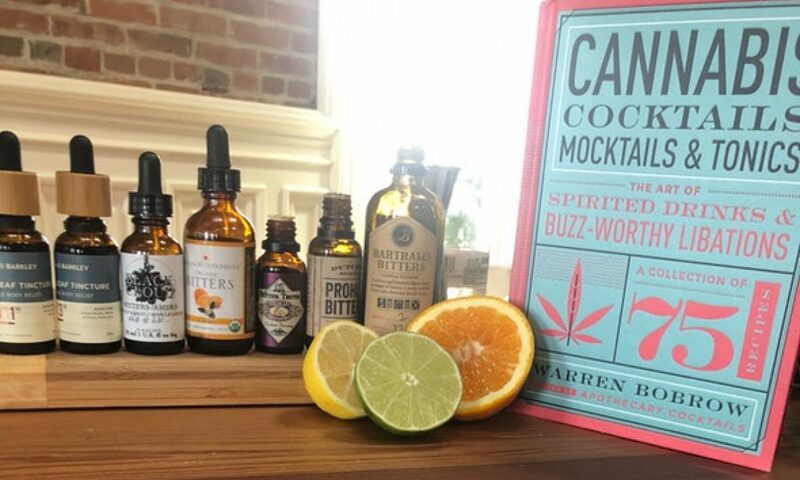 Warren is a cannabis writer for Forbes, and authored the very first book on cannabis cocktails. Guests will look forward to DIY cannabis cocktail demonstrations and learn about different types of infusions, dosing and flavour profiles. If you’re in Toronto, we invite you to join us for the final Hospitality Sessions of 2018 at Lifford Wine & Spirits, and you can use HERBLIFE for 15% off at checkout. Cannabis Drinks Expo announces speakers!! The exhibition and conference will “give worldwide drinks industry, and North America in particular, the chance to come together and look at ways it can start addressing what has been described as the biggest ever threat to its future”. The headline speaker for the inaugural event will be Bruce Linton, chairman and CEO of Canopy Growth Corporation – Canada’s largest producer of marijuana. Linton will speak about the “future perspectives” of the industry in North America. Other speakers at the event include mixologist and journalist Warren Bobrow; Omar Figueroa, founder of the Law Offices of Omar Figueroa and cannabis law expert; and Alex Howe, co-Founder and COO of Rebel Coast Winery.